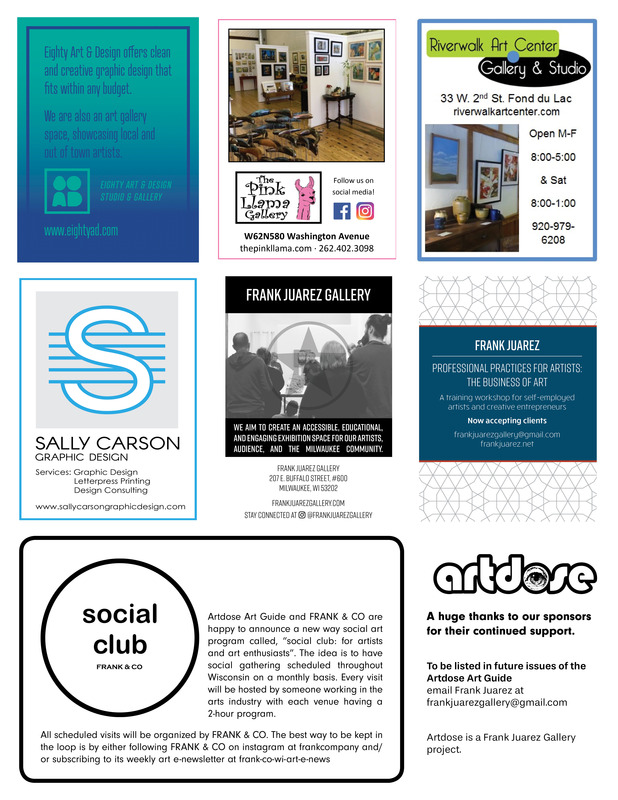 Celebrating the Visual Arts in North East and South East Wisconsin | Artdose Art Guide VOL XXVI now available. Featured artist, Kristen Bartel. 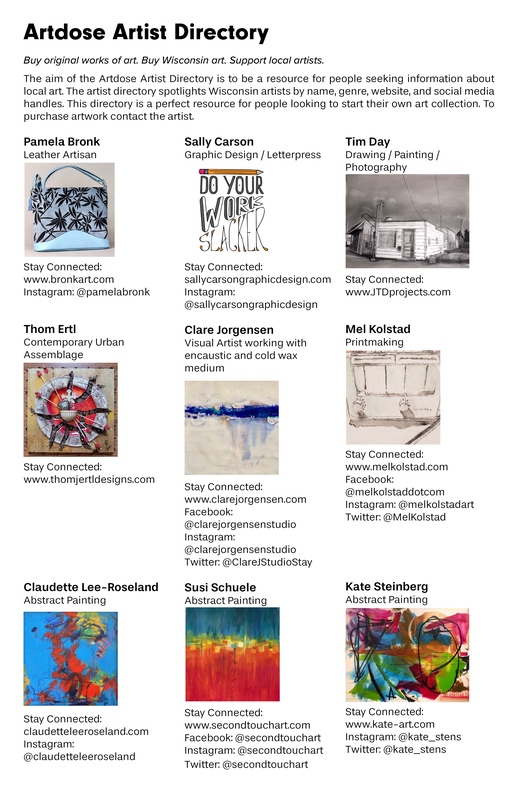 Thank you for visiting Artdose Art Guide. 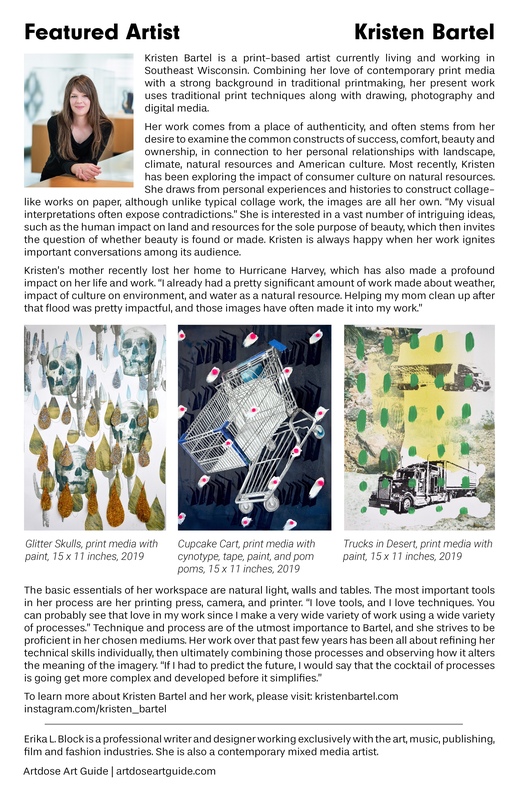 Special Announcement: this Summer 2019 Artdose will be going through a re-design and will be called, Artdose Magazine. Click here to learn how you can be a part of this new publication. 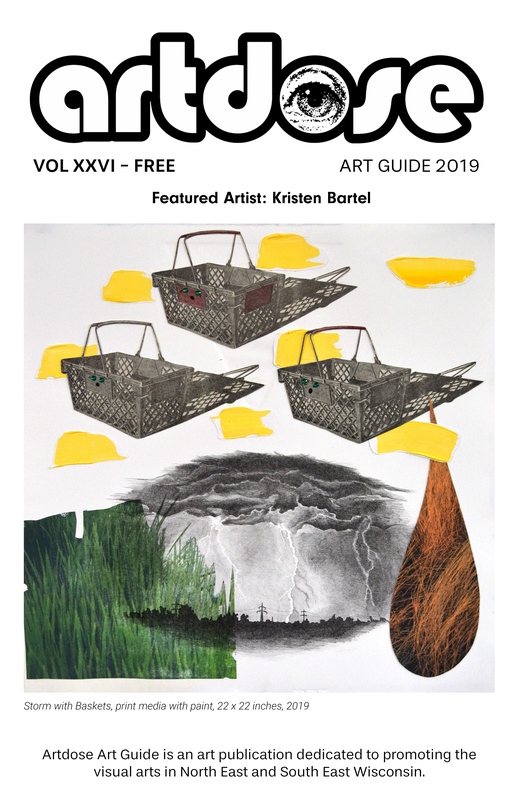 Vol XXVI issue features artist, Kristen Bartel. 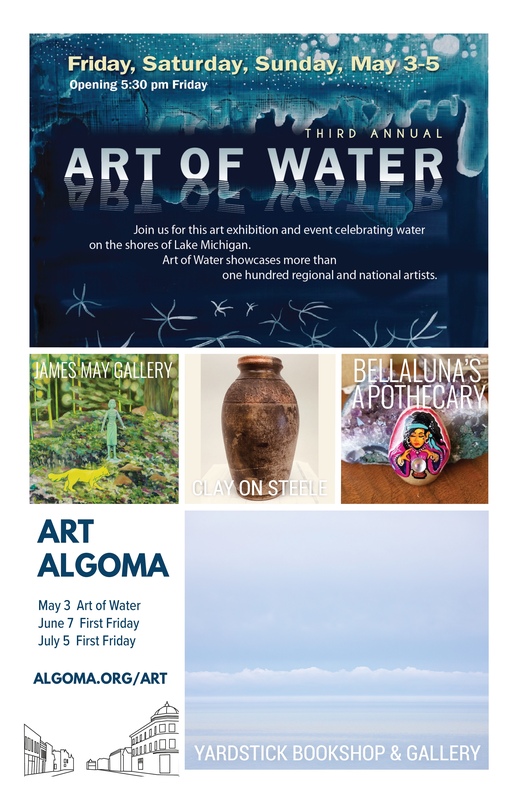 Artdose VOL XXVI would be not be possible without the continued support of the following: Art in Algoma: First Friday, Eighty Art & Design, The Pink Llama Gallery, and Riverwalk Art Center. This issue runs from April 1 – June 30, 2019. Correction: Kate Steinberg is Kate Stensberg. Please fill out our form below to connect with Artdose Art Guide.